Das Projekt wird vom DIE als koordinierende Institution in Kooperation mit Partnerorganisationen aus Griechenland, Österreich, Schweden, Slowenien und Spanien durchgeführt. The DIE was established in 1957 as a research institute. Its socio-political focus is on the development and advancement of adult education in order to improve personal development, social participation and employability for the adult population in Germany. Desarrollo para la Formación e Integración (DEFOIN) was born in 2009 with the idea of promoting training for employment and integration of employed and unemployed workers; a crucial necessity at a time when the economic crisis hit and the skill requirements of workers were high. DEFOIN has extensive experience in the comprehensive management of training plans, as well as specific solutions tailored to the need of design, management and delivery of continuing and occupational training for businesses and employed and unemployed. SwIdeas is a multi-cultural organization with a focus on community- and business development. We partner with small and medium sized enterprises, NGOs and the public sector, contributing with expertise within start-ups, trade, international development, social development and advisory services. Our services are aimed at private individuals, national and international companies and organisations in all sectors and of any size, as well as the public sector. 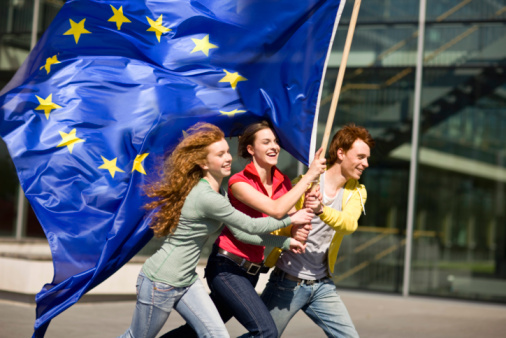 die Berater’s main fields of activities are: Adult education, Outplacement and EU Projects and project consultancy. Ljudska univerza Velenje is public non-profit institution providing adult education. LUV offers formal and informal programmes adapted to adults, young adults and seniors. It provides counselling, especially for people with distance to labour market. LUV cooperates with institutions in the region by promoting the importance of education, by offering its participant’s various educational programmes and by involving them in different EU and national projects. DAFNI KEK is a certified entity by the Greek Accreditation Body for Qualifications (EOPPEP) as a certified C-VET and after the recent (2014) reform of the Educational System is an accredited LLL-Center (Level2) , member of the National LLL-Network. Core perspective of the institution is to serve the reciprocal and critical consciousness of all involved in the lifelong learning voyage respecting the multiple roles and social status of the adults in relation to that ; unemployed or employed/ retired, parents or educators all symbolic representatives from a broader scope of cultures and lifestyles. In order this to be realized, awareness of the ‘need’ is in the core of the practices taking part; either of skills development (short Training Planning and Courses on demand) or / and through the critical human exchange of ideas and values reflective process (as citizens of a democratic milieu) by applying Adult Education action research procedures. DAFNI KEK operates in strong connection with the local community by involving them as members and / or beneficiaries of its activities as Learning Centre and in order to facilitate the coexistence of indigenous population with significant Roma / migrant population in the area.